Created in 1994 in the city of Buenos Aires (Argentina), Danza Aérea Brenda Angiel is a company recognized globally due to its creation of a choreographic language expressed in the air. This companies presentations have been presented in over 100 theaters around the world and for this year’s Festival Iberoamericano, the company brings 8cho. Tango and aerial stunts are the protagonists of this show were 7 dancers and 7 musicians give life to a world of sounds and movements sure to impact the audience. Deaf Love / "Amores Sordos"
Amores sordos was premiered in 2006 and has since been a success in various cities of Latin America especially Brazil. This show is about an ordinary family whose normal day by day life is affected when they realize it’s affected by isolation and confinement. The group Espanca! was created in 2004 in the Brazilian city of Belo Horizonte and unites a group of young artists who permanently reflect about the times we live in. Smaller than the Guggenheim / "Más pequeños que el Guggenheim"
Los Guggenheim is a collective theater group composed of people from different theatrical groups like La Talacha Teatro, Los Tres Tristes Tigres and Embalaje Teatral. The repertoire of this group consists of uni-personal plays, puppet shows and conventional theater acts. 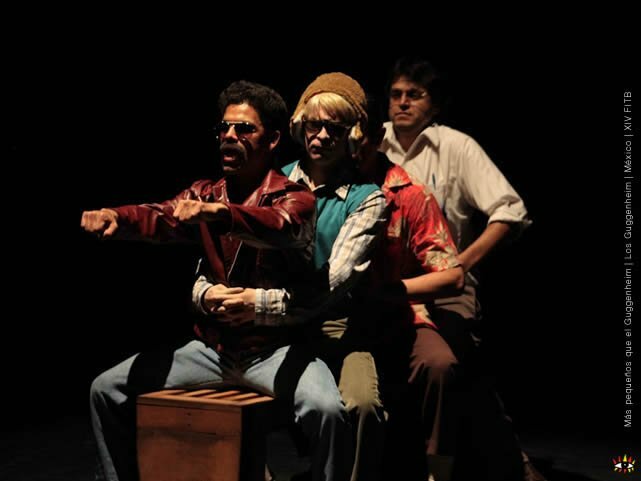 Más pequeños que el Guggenheim was premiered in 2006 and is a play that combines narration with dialect to tell the story of Sunday, Gorka, Al and Jam, four unemployed friends that seek in theater a way to calm their loneliness. Jekyll on Ice! / "Jekyll, el heladero"
This play is the most recent spectacle by recognized actor and director Paolo Nani. Inspired on the novel The Strange Case of Dr. Jekyll and Mr. Hyde by British writer Robert Louis Stevenson, Jekill on ice! present on scene an ice cream man by the name of Jekyll who is trying to create a unique and original ice cream flavor. 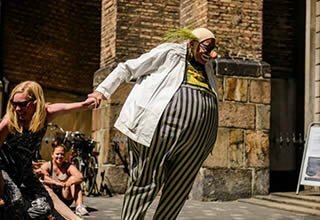 This street act is for the whole family, filled with humor, color, games with the crowd, gigantic balloons, lots of jokes and an authentic ice cream cart. 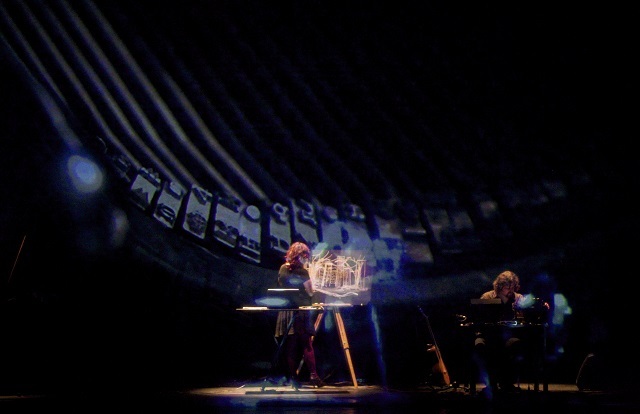 "Vanitas Libellum" is a show that combines dance, video-mapping, real-time video, live music and performances by various characters. They due to the installation appear and disappear from the scene transiting within the real and virtual world, making momentary actions and evoking intimate moments. The characters live in a changing world and they will inevitably disappear. This project is based on the Vanitas Still Life Baroque type, representing of objects in an allegorical way reminding us of the brevity of life, the inexorable death stalking and equality between rich and poor before the divine tribunal.